Surabaya volcano climbing tour package is aimed at those of you who like the climbing the most famous volcano in Surabaya. Here are some of the volcanoes that can be climbed in Surabaya but this package only focuses on the most famous mountains, namely Mount Bromo, Mount Semeru and Mount Ijen ( Ijen Crater ). The actually in Surabaya there are many volcanoes like Mt Bromo, Mount Semeru, Mount Ijen ( Ijen Crater ), Mount Arjuna Welirang, Mount Penanggungan, Mount Raung. But the duration is very long time, so we only focused to a most famous volcano with a duration of 5 days 4 nights ( profesional ) or 6 days 5 night ( beginners ). 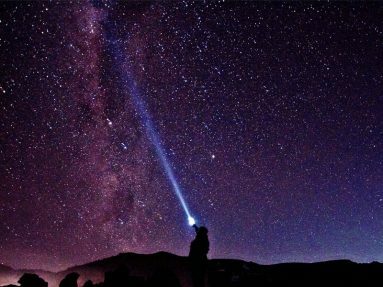 The tour will starting pick up you from Surabaya airport by our tourist guide and driver then drive directly to the Cemoro Lawang village located in Bromo Tengger Semeru National Park. This day will be free for you to relax and explore this magnificent national park, where you can to enjoy the beautiful scenery of mountains and the activity of plantation tengger tribe ( local people). 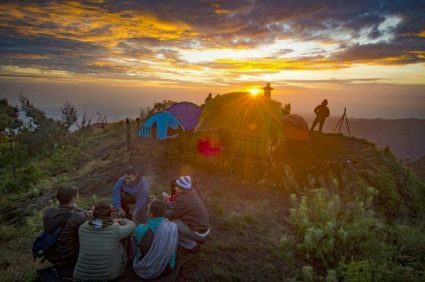 The Surabaya volcano climbing tour package activity will start tomorrow morning to see sunrise from most famoust view point mount penanjakan 2,724 asl. On the rim of the tengger caldera with amazing views of mount Bromo, Batok mountain and mount Semeru. Wake up early morning for preparation sunrise tour on mount bromo. You leave hotel to go to mt penanjakan by using 4wd jeep for about 45 minutes. Arrive in mt penanjakan waiting a few moment for the sunrise. Enjoy the beauty of sunrise until finish and back to the jeep to go to bromo crater. Enjoy the phenomenon of active vulcano until finish and back to the jeep. The jeep will take you back to the hotel for have breakfast, take shower and packing. Afterwards, leaving Cemoro lawang at 09.00 am to Ranupani ( 2,100 asl ) It takes approximately 1 hour by jeep. Starting walk continue to Ranu Kumbolo ( 2,400 asl ) it takes for about 3 hours walking. Have lunch in Ranu Kumbolo and rest for about one hour to sight see around Ranu Kumbolo then start trekking to Kalimati for about 2,5 hours for profesional climb. For the beginner suggted stay overnight on Ranu Kumbolo dan continue tomorrow morning walk to Kalimati. Arrive in Kalimati and stay overnight in Kalimati ( 2,700 asl ). Wake up at 00.00 for preparation go to summit, strart to eat Snacks and coffee break before summit attack. Summit attack app 4 hours walk. arrive at summit and enjoy the bauty of scenery then going back to basecamp in Kalimati ( app 1 hour ). Breakfast, packing then Descending to Ranu Kumbolo for about 2 hours, rest for lunch in Ranu Kumbolo and stay overnight. At 5,00 am for see the sunrise around the tent basecamp and enjoy the scenery of Ranu Kumbolo. at 7,00 am have breakfast, packing and direct descend to Ranu pani. Meet with our driver there and directly to hotel for ijen in Bondowoso city. Arrive in hotel ( check in ) and rest. Wake up at 12.30 am for the preparation of Ijen climbing, leave the hotel to go to Paltuding ( Ijen parking ). Arrive in Paltuding meet with accompany local guide there and starting walk up to the Ijen Crater ( 3 km up). Enjoy the fenomenal of Ijen blue flame, Sunrise, Sulfur minner activity & the green lake until finish. at 08.00 am you back down to Paltuding, meet with my driver there and back to hotel for breakfast, take Shower, packing. at 12,00 pm head to Surabaya for about 7 hours driving or to ferry port in Banyuwangi for about one half hours. Arrive in Surabaya or Banyuwangi and tour finish.